Machining steel can be a tricky process when fabricating precision parts. 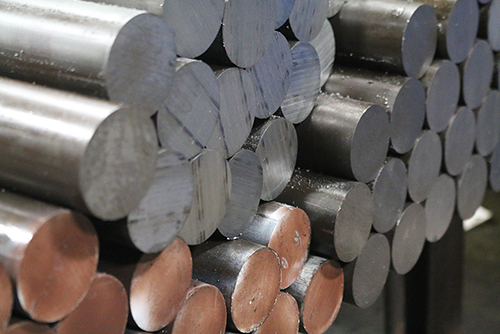 Steel and other metals originate from the Earth, and therefore have varying levels of mineral composition. The metal composition can be altered by mixing them with other metals, which can either strengthen or weaken the metal. Each of these metal composites have a great effect on the process of machining steel and other metals while fabricating. Steels are considered to be carbon steel when no minimum content is specified for chemical elements including aluminum, chromium, cobalt, columbium, molybdenum, nickel, titanium, tungsten or vanadium for alloying effect; when the specified minimum for copper is 0.40 or less; and when the limits for the following elements are not exceeded: manganese—1.65 percent; silicon—0.60 percent; and copper—0.60 percent. The possibility of great variation between steels has resulted in a grading system to help determine the predicted outcome when machining steel. For instance, Grade 1045 is frequently selected for its higher strength and mechanical properties, whereas others may be chosen for welding, low cost, or special metal finishing techniques. The steel grading system is based on the chemical composition of the metal, as the chemical composition determines the machinability. P.D. Peterka & Associates can help make sorting through the right composition for machining steel a comfortable choice.